1. Go to your preferred provider & search for the domain you would like to have. This is what I did at Cynet. 2. Select your preferred Top-Level Domain (the suffix of a website: .com .net). Some TLDs might already be taken so you'll have to decide whether you want to tweak your domain name or use an alternative TLD. Thankfully, my name was not popular. 3. 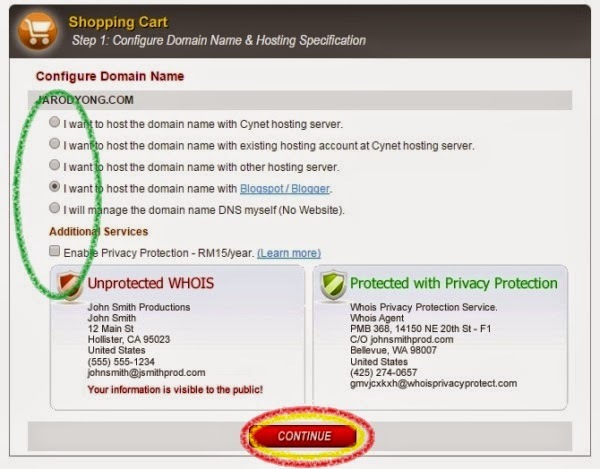 Decide the configuration of your domain & the need for WHOIS privacy protection. You might want to consider the WHOIS Privacy Protection. 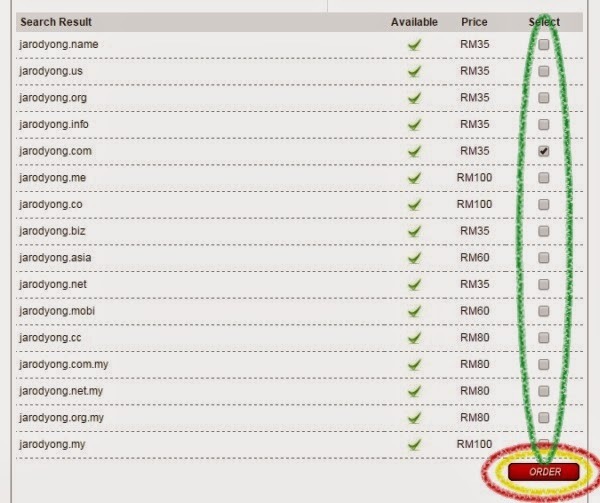 RM15 is better than spammers & scammers getting your information. 4. 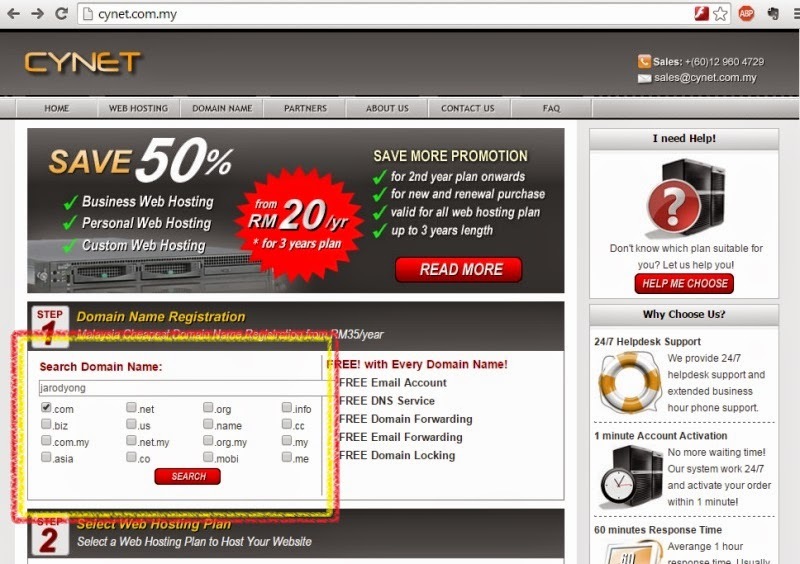 Select the length of time you want to have the domain (this can be renewed before expiry). If you have a discount Coupon, you may enter the Code on this page. 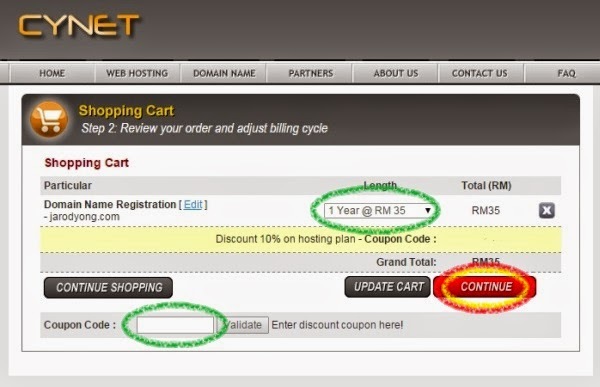 I chose 1 year because this is my first time & I'd like to try out the domain name & Cynet first. 5. 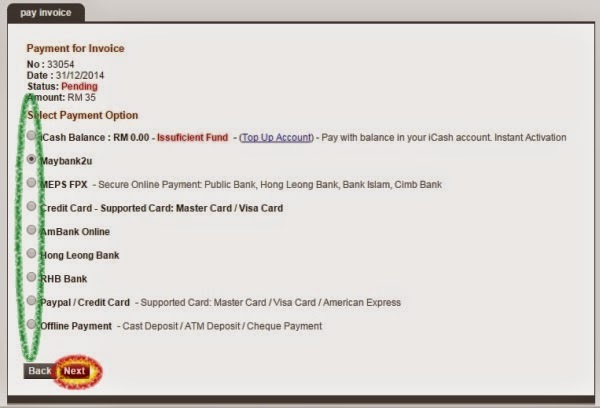 Choose a payment option. Any reliable provider should have just as many options. 6. 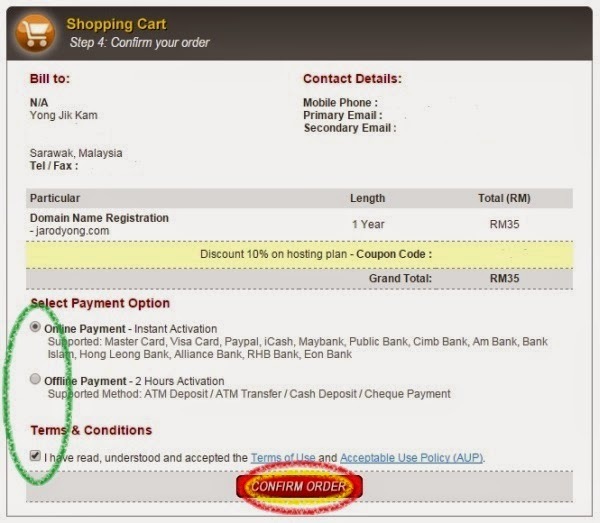 Once you have completed your payment, you can check the status of your domain here. Congratulations!! You've got your own domain!!! You might want to use your domain with your blog on Blogger.